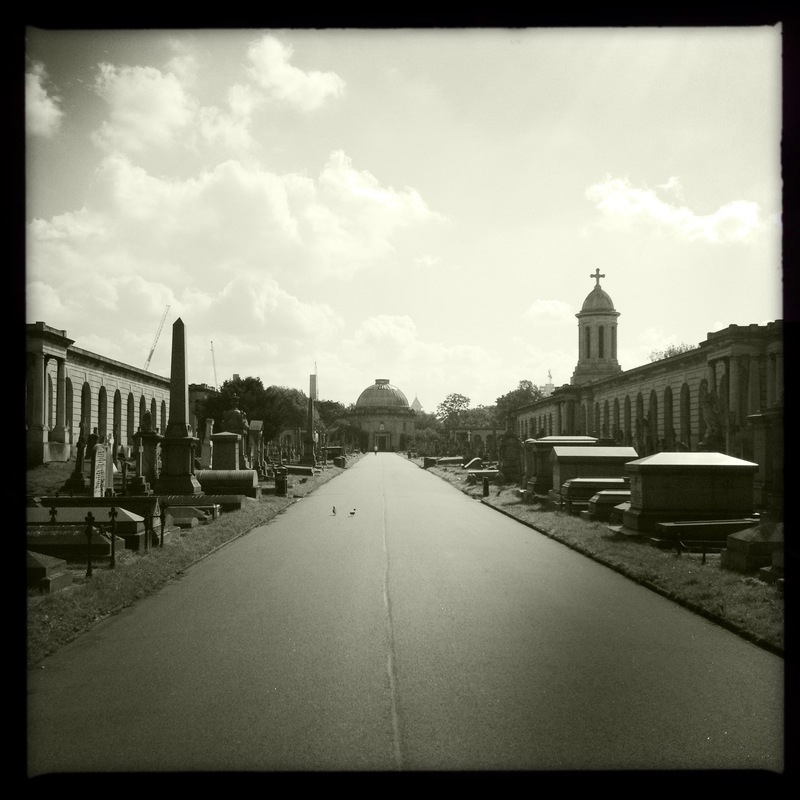 This weekend I visited Brompton Cemetery in London. It is such a magnificent and serene place, first opened in 1840 and now managed by the Royal Parks. Some parts are overgrown adding to the historical nature of the family tombs, masouleums, ornate monuments and even some catacombs (unfortunately all locked up when I visited). There is in excess of 200,000 people buried here and you can spend hours walking around. 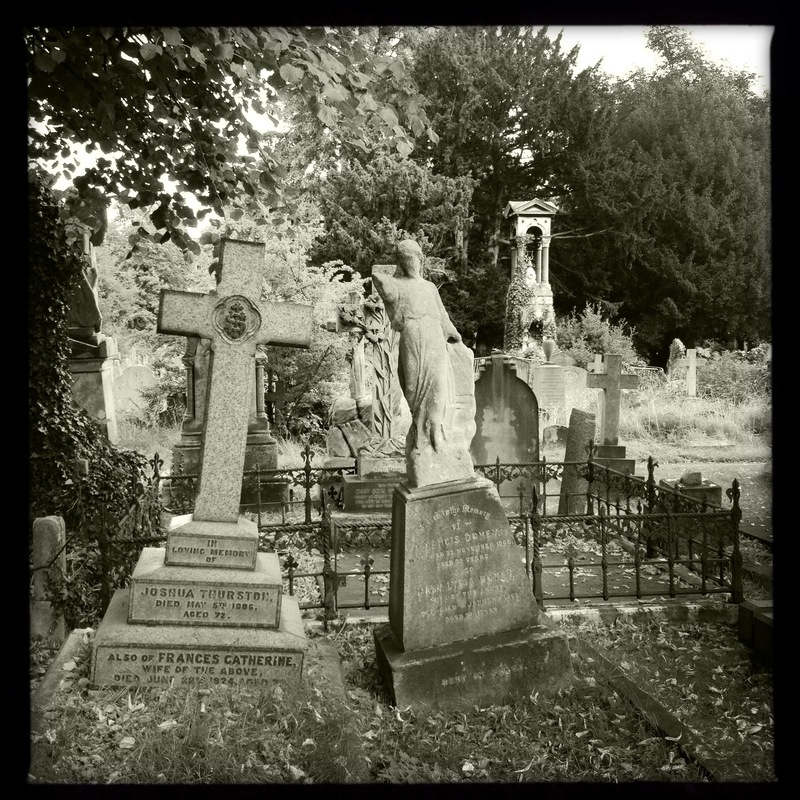 Visiting cemeteries apparently comes under the category of “dark tourism”, which I am a bit partial too. 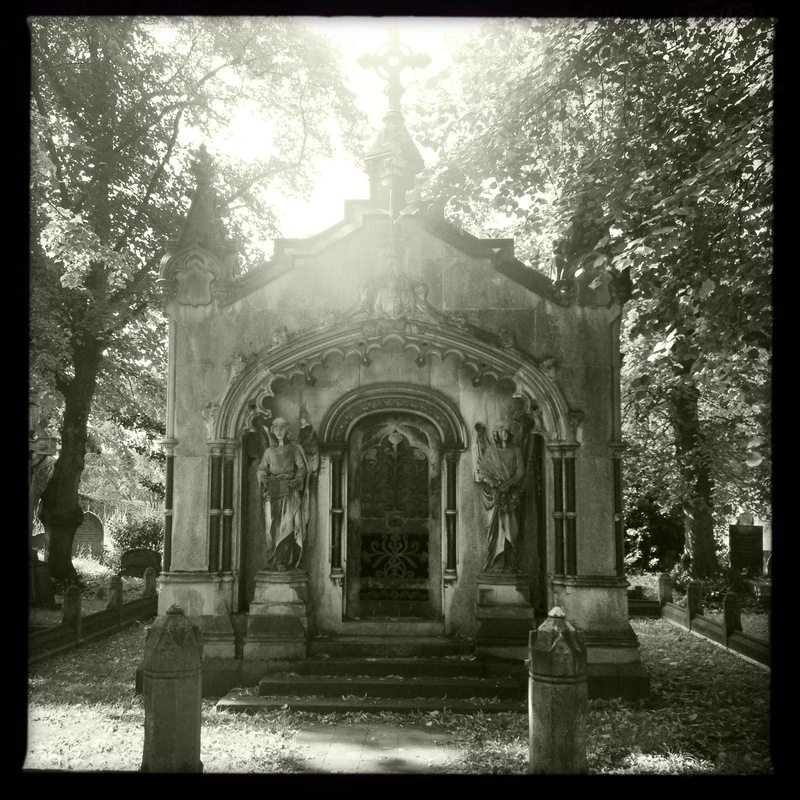 Visiting Brompton reminded me of other notable cemeteries I have been too around the world. 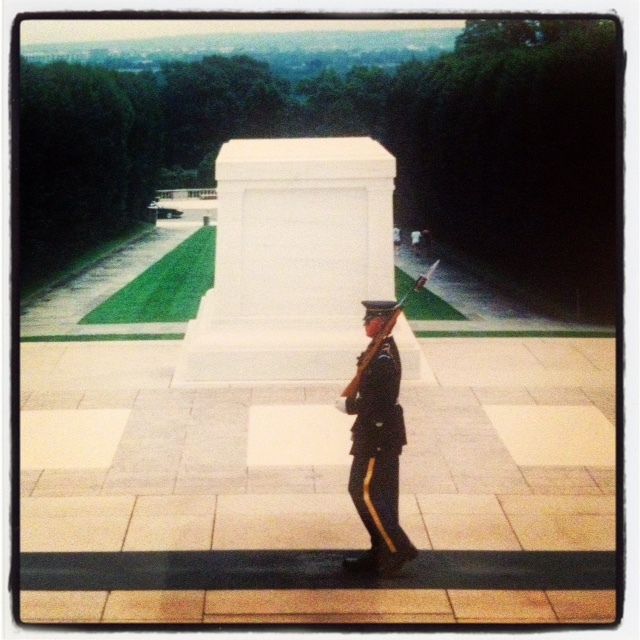 I visited back in 2000 so the memory is a little frayed but notably I remember the Tomb of the Unknown Soldier which overlooks Washington D.C, and is guarded around the clock. The Kennedy’s are buried in Arlington, and there is an eternal flame close by the burial site in memory of JFK. Just the sheer vastness of identical headstones placed in linear formation, each for a fallen member of the armed forces can take the breath away. The cemetery has been expanded several times and now covers 624 acres of land. We happened to be there when there was a burial, we couldn’t see it but the sound of the bugle playing the Last Post eerily carried across the grounds. My main reason to come here was to visit Jim Morrison’s grave. It was a challenge to find, until you get closer and spot groups of people surrounding it. On the anniversary of Jim’s death or even on his birthday people are known to hold vigil’s round the tomb. At any time of year you can read love letters written to The Door’s singer by adoring fans and ladies – don’t forget to leave your bra draped over the tombstone! 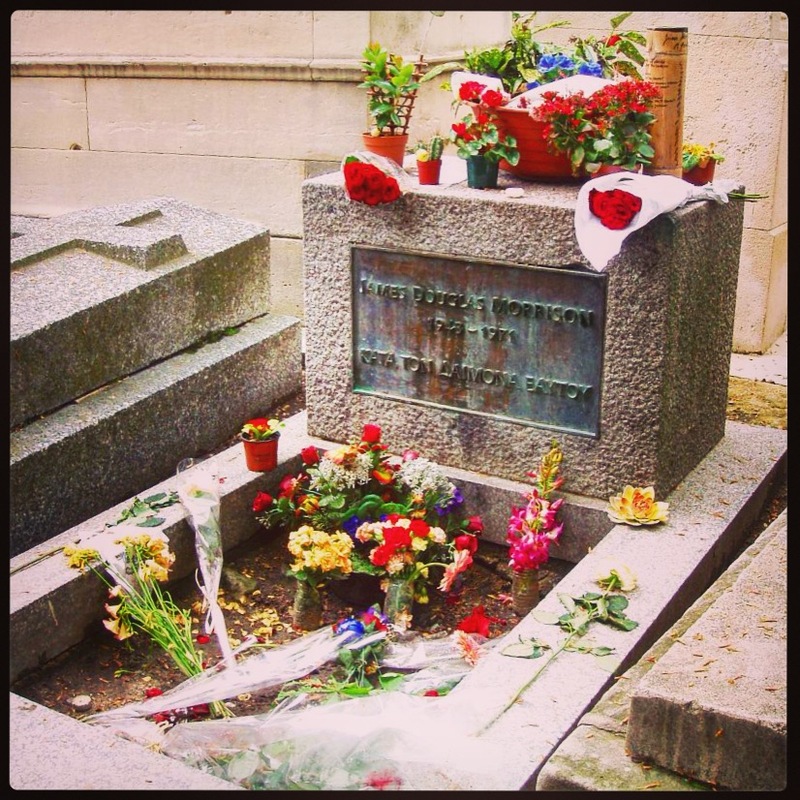 Other notable burials (that took my interest) are Maria Callas, Berlioz, Oscar Wilde, Bizet and Chopin. In my mind this is the best cemetery I have seen. It was the first time I had seen so many ornate family mausoleums, some with windows where you could see the tombs stacked up inside, some with the most magnificent marble statues and memorials. La Recoleta is the last resting place of Eva Peron. Eva “Evita” was originally buried in a crypt in Milan, she was then exhumed and taken to Spain by her husband, on his death her husbands third wife had Evita’s body returned to Argentina. 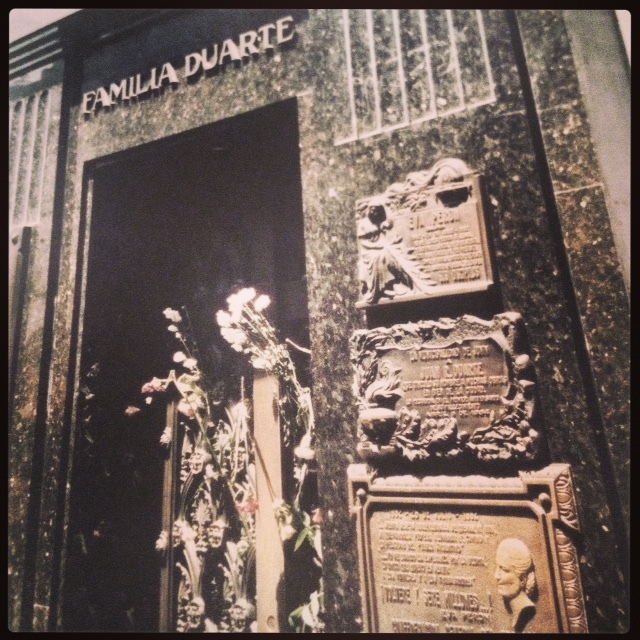 Finally she was laid to rest in La Recoleta in the Duarte family tomb. 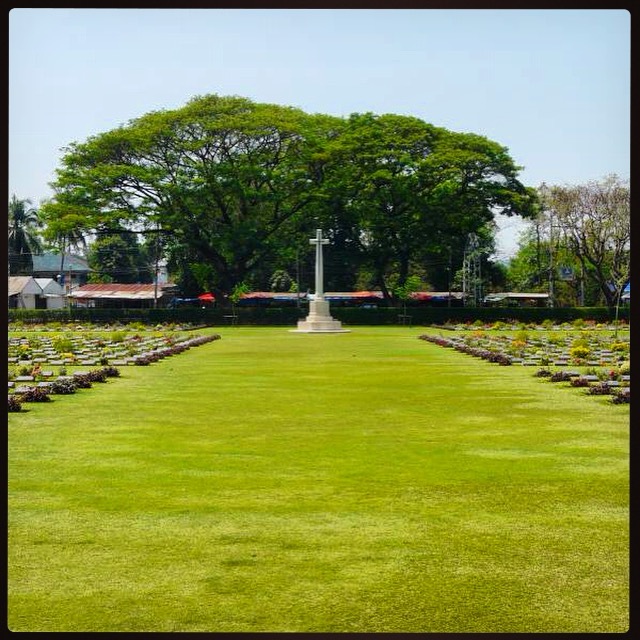 This is the main cemetery for POW who died whilst building the Thai-Burma Railway. I took the rickety train along Death Railway – across the bridge over the River Kwai and on to Hellfire Pass. It only seemed natural to visit the war cemetery after this journey to pay respects to the fallen. 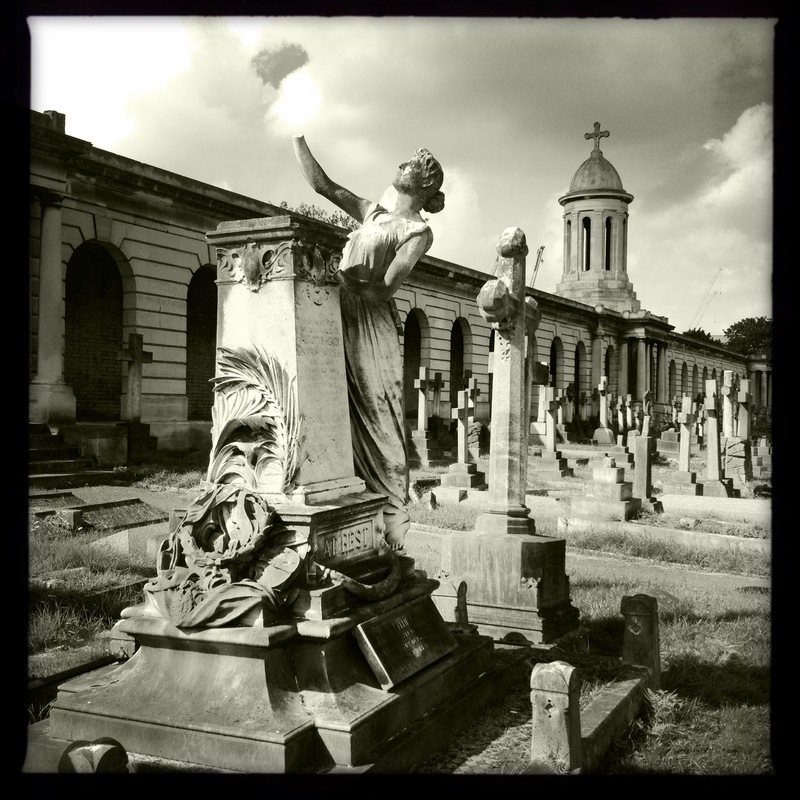 Author’s note: Arlington and La Recoleta Cemetery photos were taken with 35mm film…..